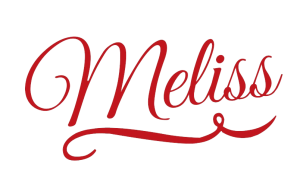 Notice anything a little different about Meliss Marketing? If you’ve listened to my recent podcast episodes, particularly episode 57, you’ll know that I’ve recently adjusted my course. I want my business to reflect what I believe and attract my dream customers. Of course, this new direction has led to lots and lots of research on my end. Frequent research into your 🎯 market is crucial; whether you’re starting a business, changing direction, or staying the course. When was the last time you researched your market? The good news for me is that I love market research! I get to learn about the people I want to work with and that helps me be more effective and efficient in my marketing. Have you ever stared hopelessly at an advertisement or social media post and wondered why it’s not converting? Or spent hours poring over your sales page making endless tweaks? 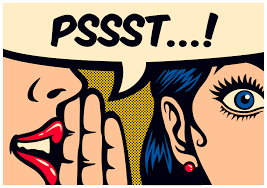 When you know your market, reallllllly know them, it’s easy to speak directly to them! The first, and most important, is the official research you do. This is where you create your buyer persona and discover your dream customer. If you’ve gone through my Finding Your Dream Customer Guide, CONGRATS! ✨ The hard part is done. If not, what are you waiting for? This is my favorite part: all the unofficial research I do into my target market. Believe it or not, this is what makes marketing so much fun! Unofficial research is when you just kind of hang out where your dream customers hang out. Join their Facebook groups (or start your own! ), check out the Subreddits for topics they like, click their hashtags, and peep their Pinterest boards. Spend time getting to know them and the types of things that they take an interest in. 🌎 Location. Why pay for Facebook ads if your target demographic rarely uses that platform? Conversely, don’t waste money on promoting Instagram posts if no one is there to see them. Use your ad spend wisely: in a place where your customers will see it. 🎨 Images. The best way to see which types of images resonate with your dream customer is to look at the accounts they follow on Instagram. You can also check out their Pinterest feed to see what they are pinning. 🛒 Services. Probably the most important thing your research will inform are the services and products you offer. Read their comments and discussion to see what features or products they are asking for, which ones they dislike, and what changes they are hoping to see. Don’t have enough time to hang out on social media and do some research? Reach out to my team– we can help!